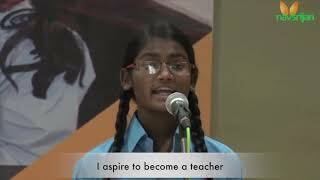 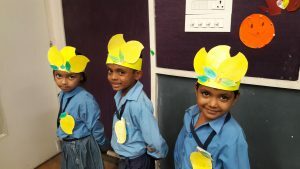 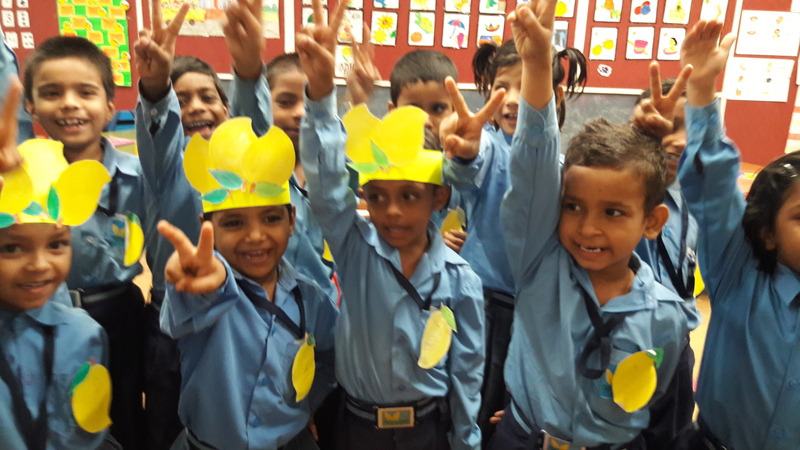 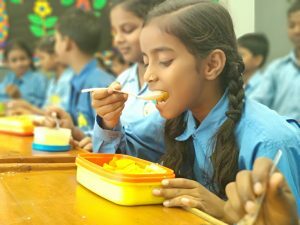 It was a sweet juicy morning for the students of Navsrijan, when the children delightfully entered the school premises on 21st July, 2018 in order to celebrate MANGO DAY. 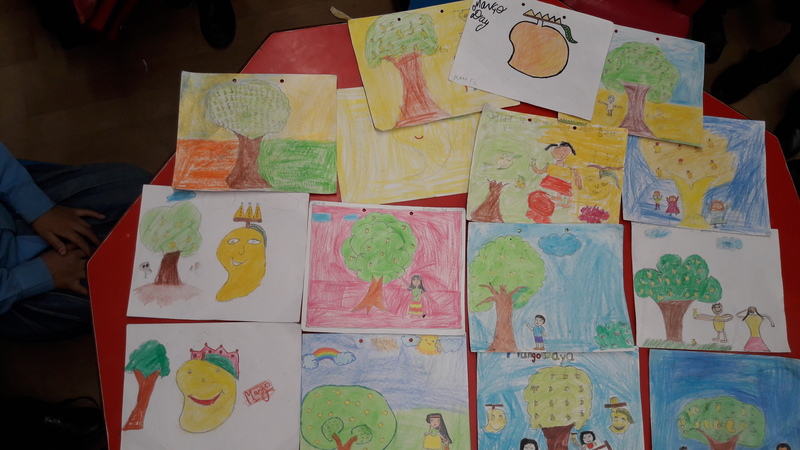 Teachers briefed the students about mango being the king of fruits, not only for its taste and fleshy yellow colour but also, for the nutrients it offers like- vitamin-C and A. This fibrous fruit boosts our digestive system and prevents from getting heat- stroke. 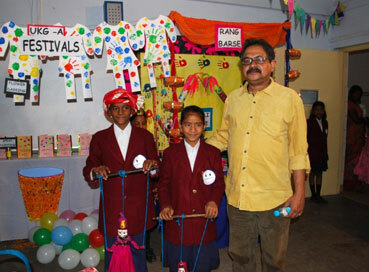 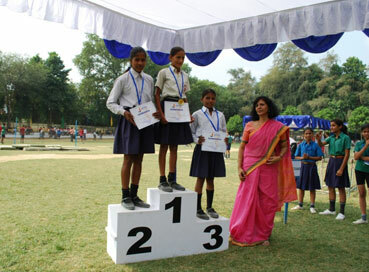 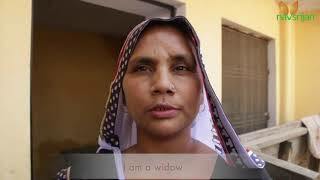 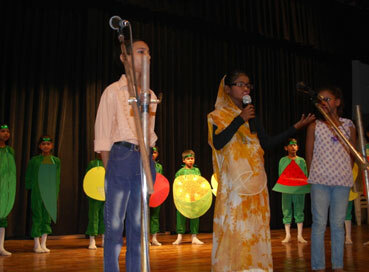 They were also told about the various forms of its consumption such as- mango shake, ice cream, jam, pickle, chutney etc. 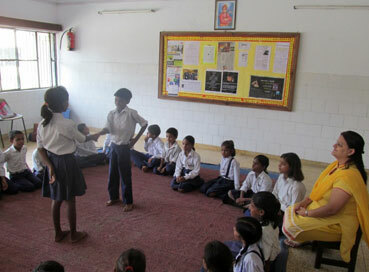 Several classroom activities took place. 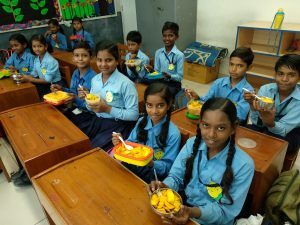 Students wrote compositions on mango; considering the theme of this month sharing is caring students shared their tiffins with their peers. 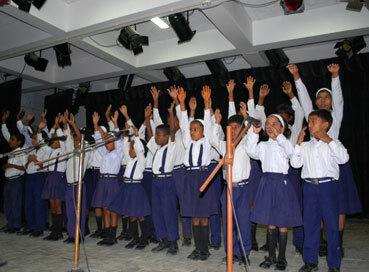 Rhymes and singing sessions also took place in several classes. 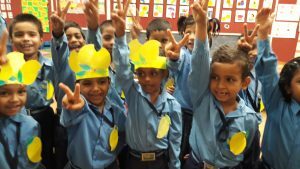 At the end of the day the children joyfully left for their homes with immense pleasure in their hearts and a memory to cherish forever.